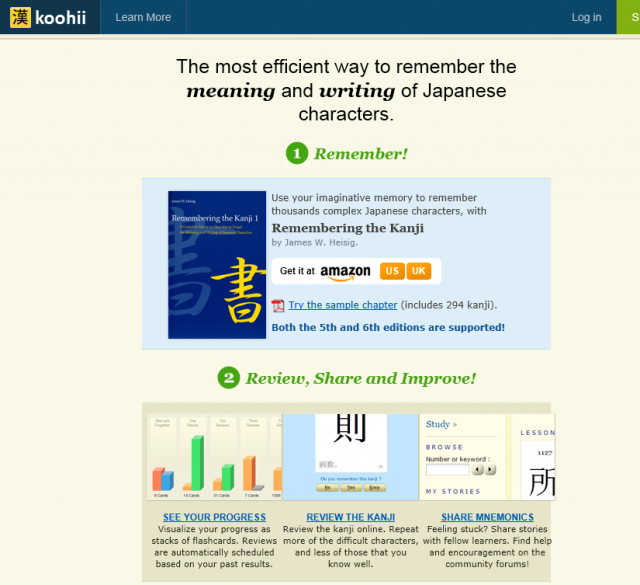 This site is designed as a supplementary tool for learners studying the kanji using James Heisig's "Remembering the Kanji" method. 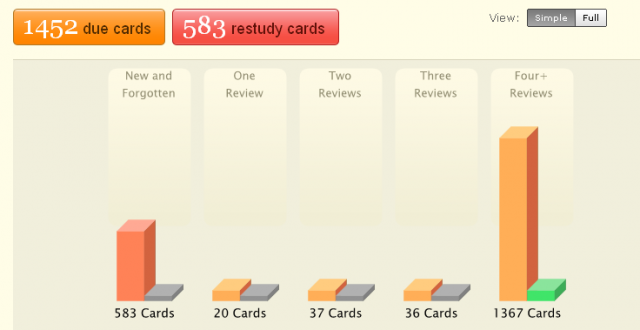 You can make flashcards to help you memorise the kanji. 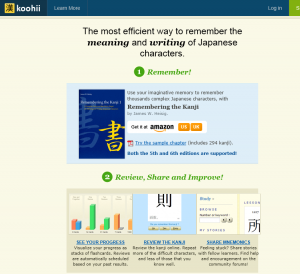 This is a flashcard tool created to help learners who are using James Heisig's "Remembering the Kanji" series of books to learn the kanji. You can study the meanings of - and how to write - over 2000 kanji characters. You can see a clear display of your level of progress regarding how many kanji you've memorised and how many you are yet to master. It's a good way to gauge both your achievement so far and the challenge that lies ahead. You can share with others your own method for remembering a particular kanji, and when you get stuck you can refer to other learners' tips. The forum is buzzing with activity, and is a good place to pick up lots of useful information from fellow learners. First, you have to register. To do this you need to provide a user name, email address and a password. Having registered, you'll go to a screen like the one above. Please log in here. In order to make a card, click on the tab marked 'Manage' and make your cards on this page. When you want to study, click on the 'Study' tab. Have a look at the example below. The kanji numbers outlined in red are the ones we had forgotten, so they're now in the pile of those we want to study. On this display it is clear at a glance which kanji we need to review, which we already know and so on. 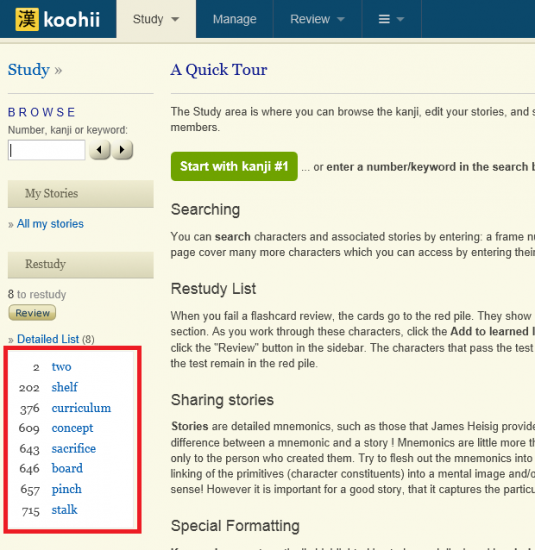 Here you can manage your own kanji study with ease! This site is also introduced in an "e! Kore" article called For those who just can't seem to remember…. If you're interested, please take a look!